Glasgow have had one of their best BUCS campaigns to date despite never really looking at their best. To my knowledge, they have never won the league despite coming close most years. This year that hasn’t changed, but the manner in which they swept aside everybody apart from their cross-city counterparts has been impressive. Their closest game victory was 15-9, normally 15-8 and would be better classified as a blowout, so they statistically almost destroyed everyone who finished below them. That’s pretty commanding especially, as mentioned, they didn’t seem at their strongest, and in some of those games they were blooding a lot of youngsters. Annoyingly, they couldn’t make their game against Strathclyde close enough that we could have had a true nail-biter. However, finishing level on points and with a goal difference only seven worse than the apparent Nationals favourites, Glasgow could yet surprise the university division once again. Glasgow have a knack of turning up at the right time of season and we hope to see that again. 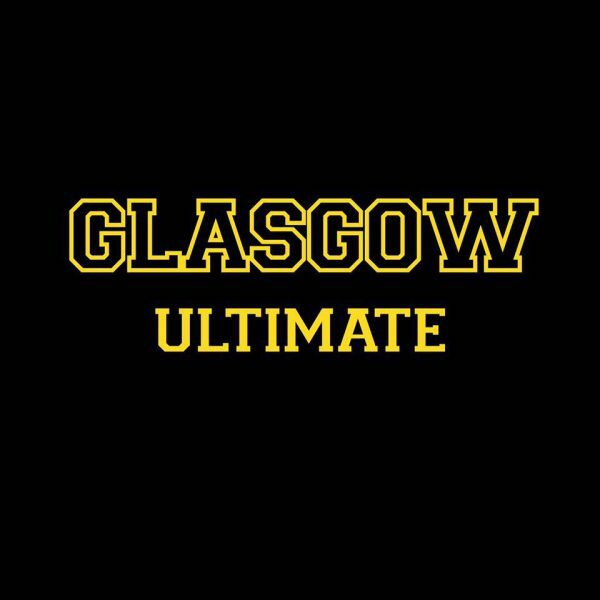 Maybe, finally, the Scottish ultimate community will back them as well, as Glasgow seem to have gained some popularity with the neutrals this year. Then again maybe not, we could be wrong. Glasgow have kept the blue print that has been successful for a while now. Having a few top-level players and then bringing up a well drilled squad means that they normally haven’t had a true bottom order, they normally manage to train everyone up to be on the level of middle order players at other teams. This year it has been thought that their top has stayed strong, but the rest of the squad has been a bit weaker, but it’s hard to argue that after their relative success on the men’s scene. Everybody knows Iain Campbell will be the backfield distributor with Joel Terry as the initiation cutter and Doug Fraser threatening deep. 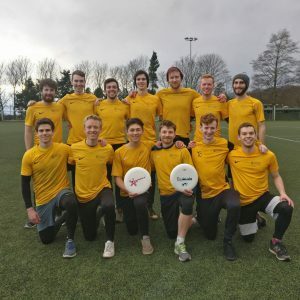 Sam Finlay is a mainstay and has been a big figure at Farflung for the last few years and a big member of the Glasgow ultimate community, playing for Strathclyde before, but we have heard that he may be a bit injured – which seems to be his permanent state at the moment. Joel Terry will also be looking to set the standard for person defence at this tournament, being one of the best block generators at this level. On top of these guys, Glasgow will bring a strong contingent of players who have been playing for a while, such as Bryn and Micah. There is also a fringe of young players including Henrik and fresher Will who will be looking to take the opportunity to impress on the national stage. Farflung have shown their offensive strength against zones this year, so the best bet for turnovers is going person. There they swing the disc more still trying to generate a bunch of deep shots coming from Iain or Sam a la Johnny Bravo when they still had Mickle or Brodie Smith. Defensively they have shown good clam sets and they play zone both ways in the wind. Their zones have front loaded players to encourage big shots over their mids for their deeps to eat up. Other than Joel, their defence hasn’t been as much of a strength as it has been in the past, but Joel himself does bring a bit of X factor here and can generate blocks out of very little. Overall their league season has been very successful, especially when we take into account that they rarely had their full team, but they did miss an opportunity when they didn’t manage to play Strathclyde a bit closer and give them a bit of a scare. In the words of one individual “shoulda woulda coulda”. The league has shown how top heavy they are as a team and for them to make a deep run at Nationals they will have to manage their best player’s play time and bubble wrap them if they start looking hurt or tired. Glasgow tinkered with their squad all season. How many of these faces will be at UMON? As for UMON, Glasgow have been drawn in arguably the hardest pool. Glasgow, Loughborough and UCL have all shown that they are top 8 teams in the men’s division this year and with no crossovers, whoever gets punted into third seed in this pool will feel hard done by. Manchester have pulled one of the most outrageous stunts of UMON history and pulled out with two days to go. Glasgow should still be aiming to make quarters as a minimum and if they get knocked into the bottom 8 they should take 9th comfortably. In quarters it will depend a lot on the match up as this team doesn’t look quite strong enough to medal, but they could sneak 4th. Their recent history at this tournament is strong and that is despite some of their best players being injured at this time of year or hurt going into the tournaments. It won’t be any different this year, but I would bet on them to surprise despite their relative lack of depth. As long as they don’t face Bath who could open up some mental scarring, Glasgow will put in a strong showing.